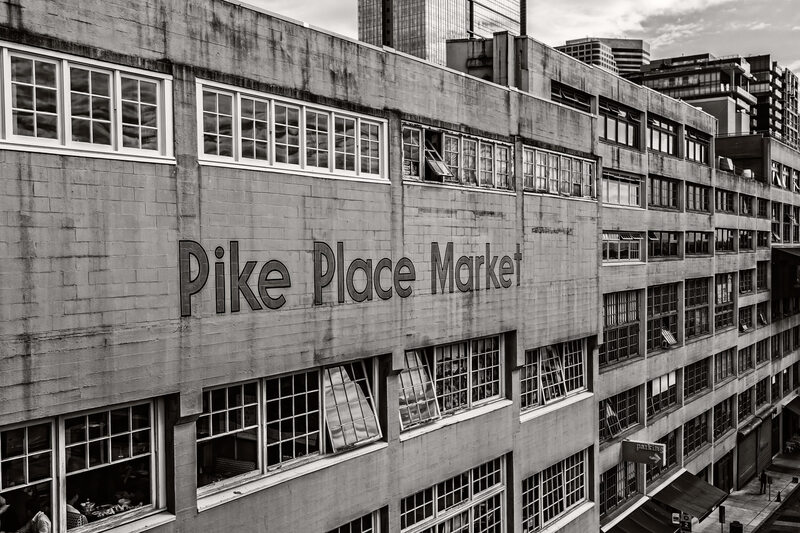 An exterior view of Seattle’s landmark Pike Place Market. 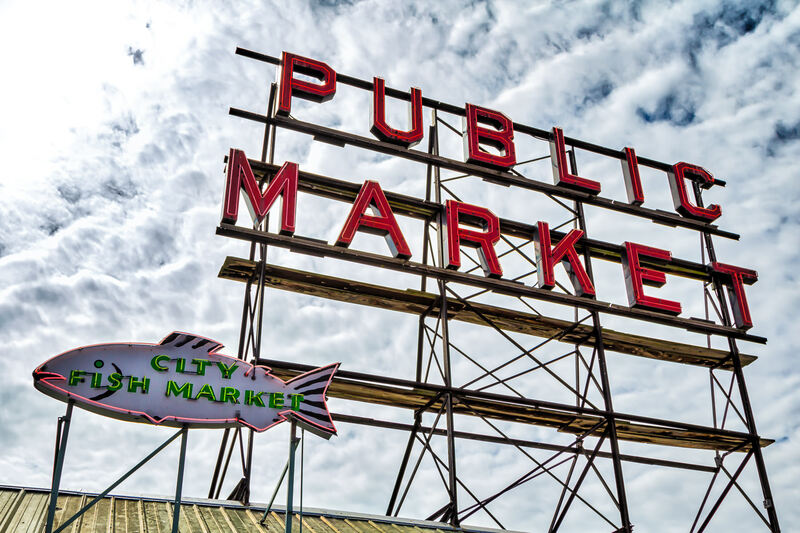 A sign atop Seattle’s Pike Place Market for City Fish Market. 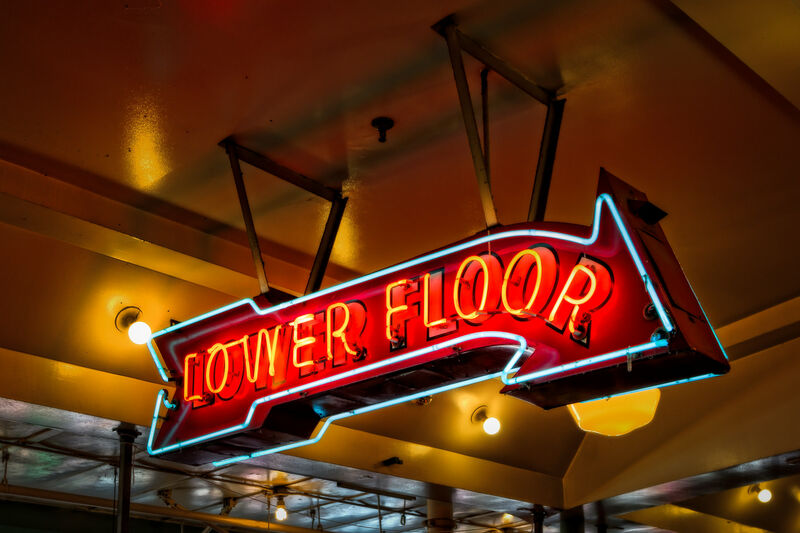 A neon sign offers directions at Seattle’s Pike Place Market. 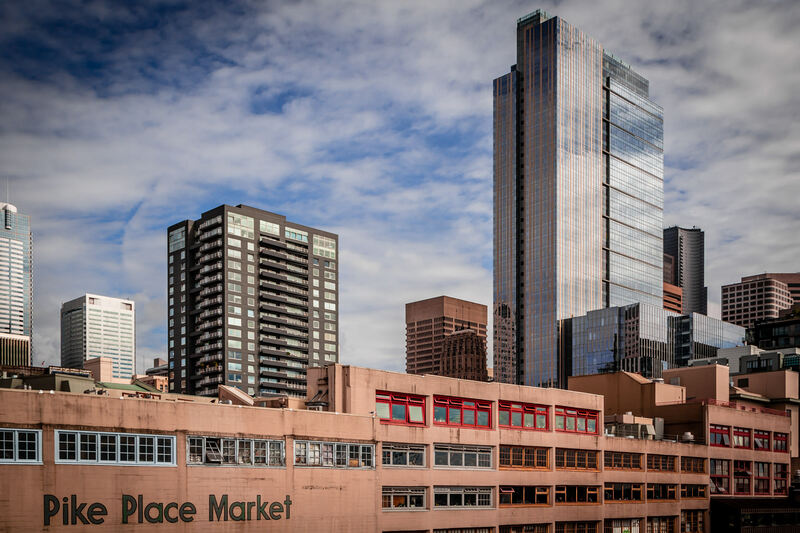 A portion of the Seattle skyline rises behind Pike Place Market. 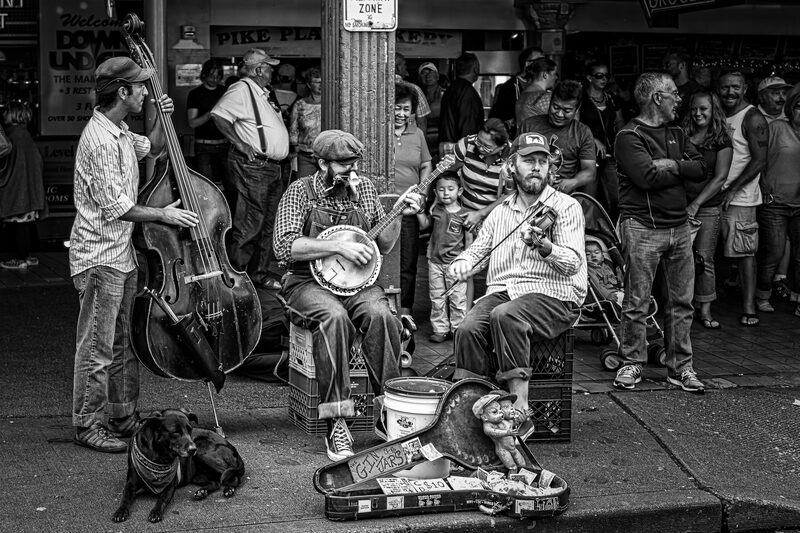 Blues & Jazz trio The Gin Jars busk for tips at Seattle’s Pike Place Market. 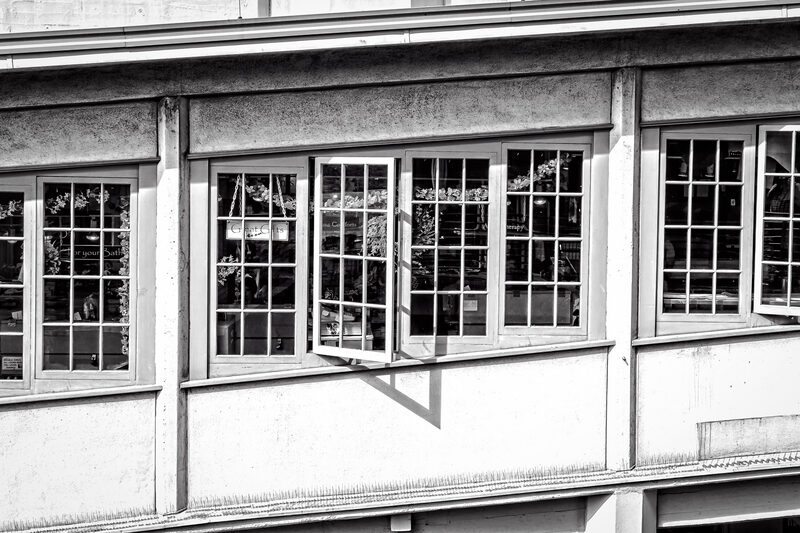 Windows built into a sloped part of a building at Seattle’s Pike Place Market. 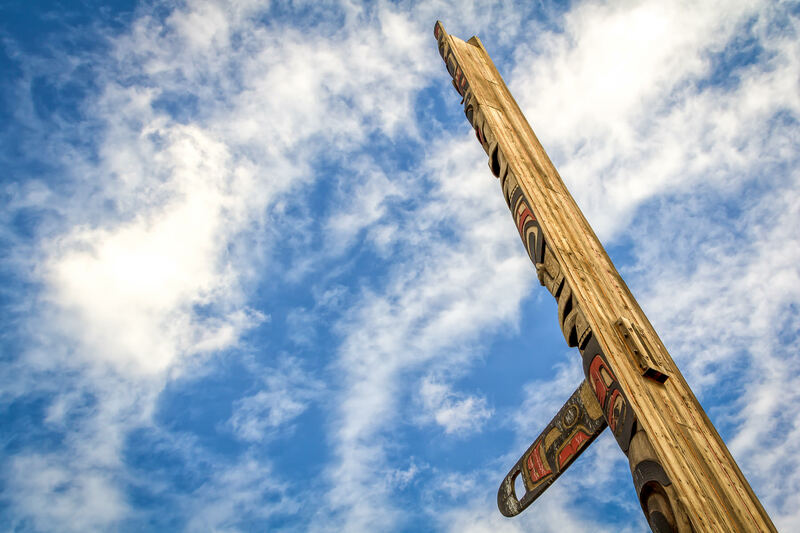 A totem pole rises into the sky over Seattle at Victor Steinbrueck Park, adjacent to the Pike Place Market. 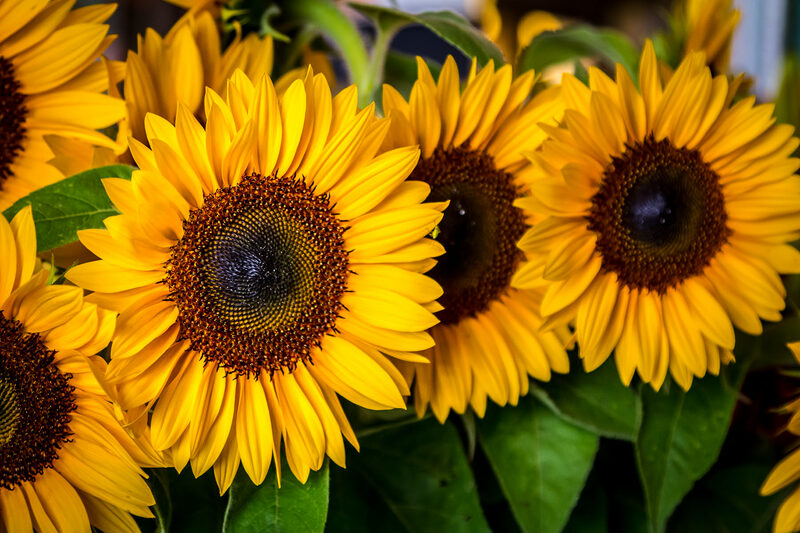 Sunflowers for sale at a florist at Seattle’s Pike Place Market. 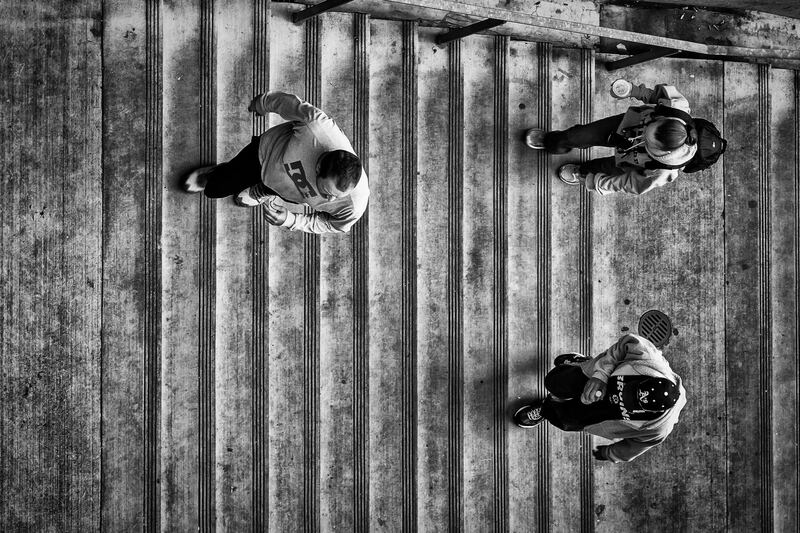 Three people climb stairs at Seattle’s Pike Place Market. 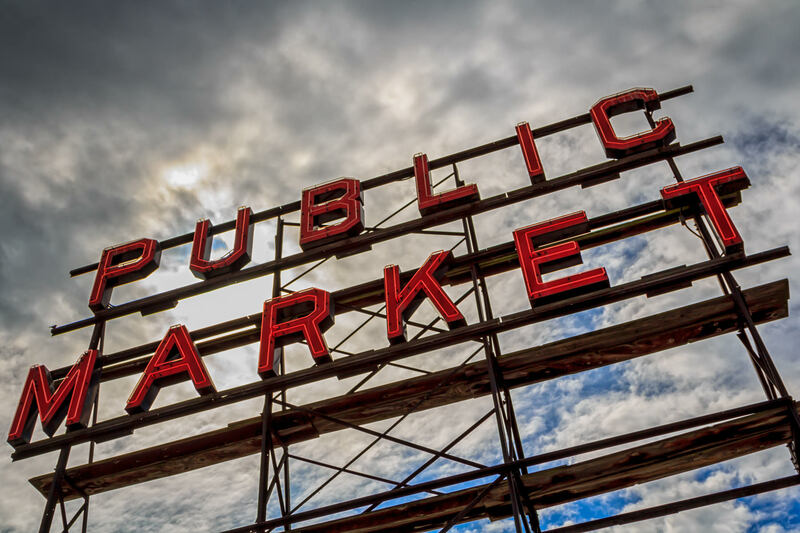 One of the large, rooftop signs at Seattle’s Pike Place Market.